Thanks to advances in modern dentistry, there are a number of cosmetic and restorative dental treatments that it’s easy to confuse them or mix them up. 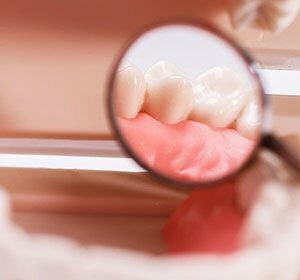 When you have a tooth that needs a veneer or a filling depending on what’s best for you, there are different materials that can be used, and which material is best depends on numerous factors. At DonEast Supreme Dental, we offer patients an incredible variety of treatments and restorations to help boost their smile’s appearance and protect their teeth for the long run. If you are dealing with minor to moderate imperfections that you wish you could hide, then say hello to dental veneers, also known as porcelain veneers or composite veneers. These thin shells of tooth-coloured, translucent porcelain, custom made to fit over teeth are bonded to the front of your teeth to give you a brand-new smile that is straighter, whiter and evener. Veneers are a great option especially when teeth whitening isn’t appropriate for you. It has also been proven to improve certain minor alignment issues so that you don’t even need to get braces. For your dentist to place a veneer, some tooth enamel will need to be removed. Though the process is painless it is non-reversible. Porcelain veneers are very durable, once bonded to healthy tooth structure it becomes very strong. It can last for several years, usually, 10-15 years, if it’s taken care of properly. It creates a very life-like and natural tooth appearance. Its translucent properties allow the veneers to mimic the light handling characteristics of enamel giving it a sense of depth. They also resist staining due to its impervious ceramic material which will not pick up permanent stain from cigarette smoking or from dark or richly coloured liquids or spices. A filling is an approach to re-establish a tooth damaged by decay back to its ordinary function and shape. When a dentist gives you a filling, he or she first removes the decayed tooth material, cleans the affected area, and then fills the cleaned-out cavity with a filling material. By removing spaces where bacteria can hide, a filling also helps prevent further decay. The different materials used for fillings include gold, porcelain, a composite resin, and an amalgam. Porcelain fillings are like gold. They are a type of indirect filling, that require more than one visit to the dentist and will, in general, be expensive. Be that as it may, they’re likewise not quite the same as gold fillings in a couple of imperative ways: On one hand, they are considerably more fragile. On the other, they look like real teeth and can enable you to keep up a natural appearance. Porcelain veneers, which is composed of silicon and oxygen, is often used as inlays on teeth. They are typically used when: The cavity is in an area where maximum chewing pressure is required or when the cavity is in a tooth that is visible when you talk or smile.